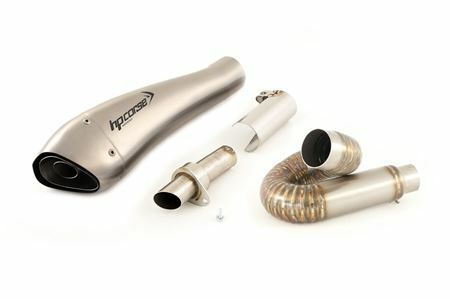 For the 797 we offer three lines of racing exhausts: EVOXTREME, HYDROFORM and GP-07 with two different fittings: a "short" fitting and a fitting @ fully assembled and hand-welded. 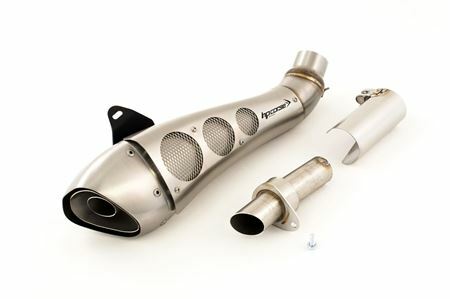 EVOXTREME is a sports design exhaust derived from the race and born in the research and development center of Bologna. 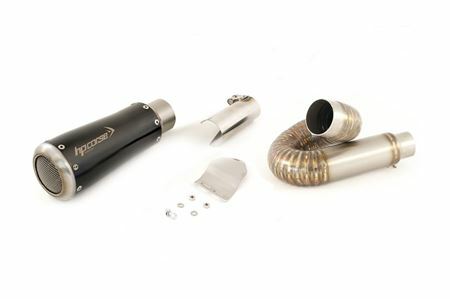 The variable geometry silencer shape is obtained through a refined production process. The end-cap is in very light carbon fiber, laser engraved logo, you can choose between satin and black, removable dbk. 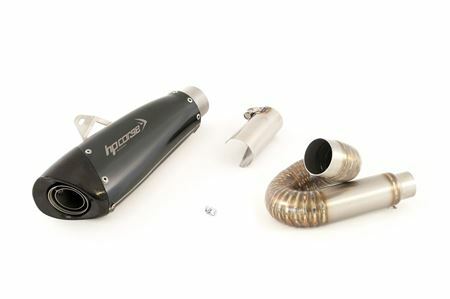 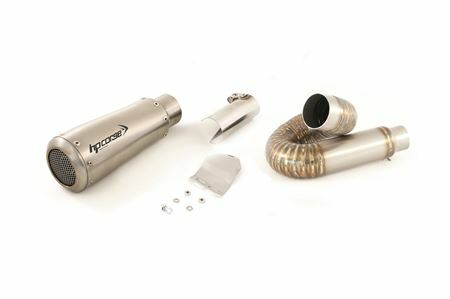 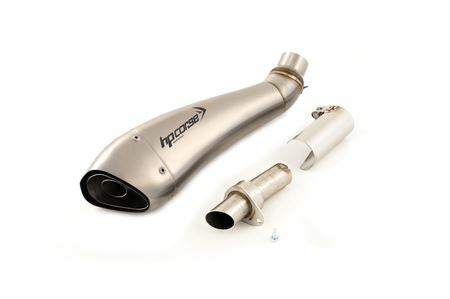 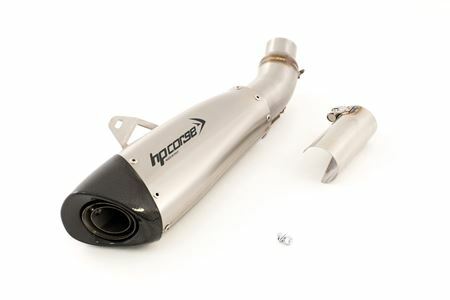 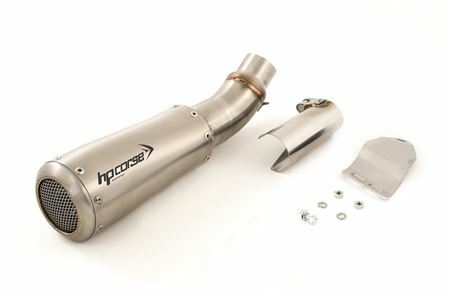 HYDROFORM is the icon of Hp Corse, an unique exhaust in terms of design that takes its name from the production process by which it is obtained. 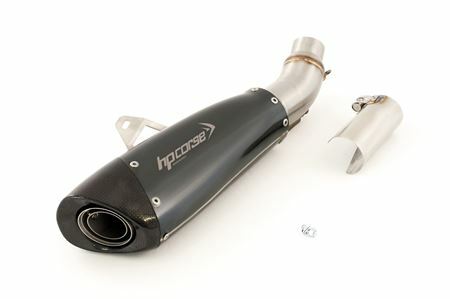 Two surface finishes: satin and black ceramic, laser engraved logo, removable dbk, unique soud. 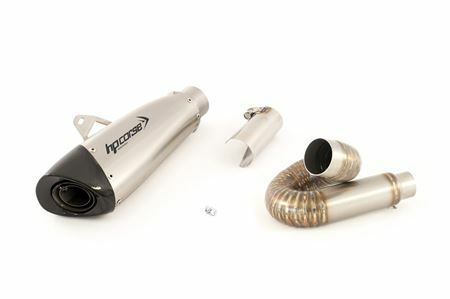 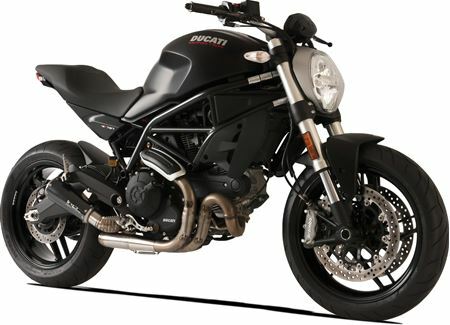 GP-07 is the smallest of the Hp Corse family, a Moto Gp style exhaust, very light and compact with removable dbk. 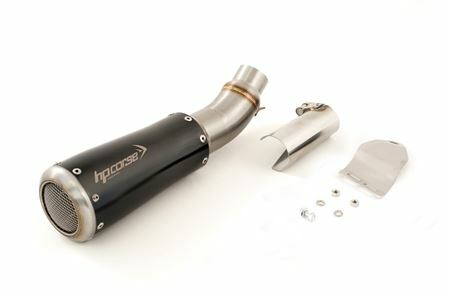 Satined and black with laser-engraved logo.